Let's take a look at the Pro 3 and the company behind it, VaporFi. Is it worth the money? Will it help you make the switch? Let's find out. 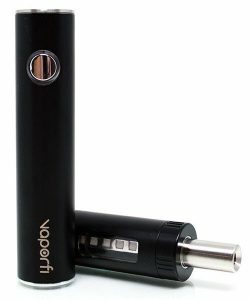 VaporFi has been in the vaping arena for a long time. They're not some fly-by-the-night popup brand. Their reputation is pretty solid as a trusted brand in the space. They make solid devices tailored to the needs of the vaping community. I believe they read our reviews and take customer feedback very seriously. You can tell by the gradual evolution of their products. They also boast the largest selection of e-liquids with over 30,000 unique flavors. While I do like VaporFi, it doesn't mean that I would recommend all of their products. In fact, I only recommend a couple of their devices. Let's take a look at the Pro 3 Starter Kit to see if it lives up to the family name. Visit VaporFi.com to get your hands on the Pro 3 Starter Kit. The main things I like to see in starter devices, like this one, is ease of use and efficient nicotine delivery. Other features are nice but those are my chief concerns. A beginner vape pen should be designed to take away all of the BS and allow the new vaper to just vape. For a vape pen, the Pro 3 does pretty well in this area. There's nothing out of the ordinary that you'll have to worry about. The only three maintenance activities you'll have to do are swapping out the coil, charging the battery, and refilling the tank with e-liquid. These three activities are inevitable for a pen-style device. If you don't want to refill tanks and swap out coils, I suggest you go with the BO One pod mod. Changing the coil on the Pro 3 is pretty seemless. The only thing I don't like about the coil is its oblong design, making it hard to vape your tank down to the bottom. Other than that, maintaining your coil will be a breeze. Just screw in a new coil when your e-liquid starts tasting different. 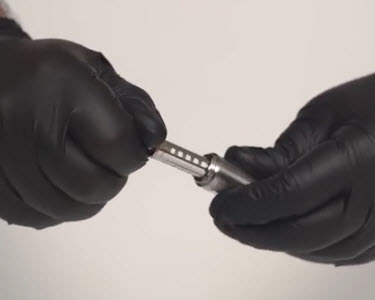 VaporFi calls this their “no-spill coil swap system,” which implies that most other pens cause you to spill some vape juice while swapping your coil. I can attest to that. I usually change my coils over a paper towel, bracing myself for the mess. The Pro 3 is definitely easier to maintain than the average vape pen. Another nice feature is the MTL or mouth to lung technology that's baked into this pen. This is a newer technology that gives the Pro 3 more of a cigarette draw feel. The draw is nice and tight. VaporFi did a good job with getting it to feel as close as possible to the smoking experience of a traditional cigarette. It's very good for a vape pen. That is a much welcomed and useful feature. The more similar vaping feels to smoking, the easier it'll be for your brain to make the transition. That's why they focused on mimicking the smoking experience, to help you quit smoking. My rating on the ease of use of the Pro 3 is an 9 out of 10, losing a point for the oblong coil. Basically, the Pro 3 wasn't just designed with the beginner in mind, it was designed for the beginner. It's pretty easy to use and has features that make it ideal for making the switch. The Pro 3 puts out some decent clouds and good flavor. This device is not designed for cloud chasing, so don't expect to fog up the room. MTL devices produce smaller clouds, but for an MTL device it puts out nicely. You'll definitely have visible vapor. For a starter pen, the flavor is pretty darn good. Of course, more advanced devices like RDAs have far better flavor, but they're a pain in the rear. This starter kit can hold its own weight. Most importantly, it's consistent. More advanced devices are only as consistent as you are skilled. Consistency is also one of the things I look for in a starter pen, or any device for that matter. Having an inconsistent device is a royal pain and can leave you with a bad taste in your mouth. 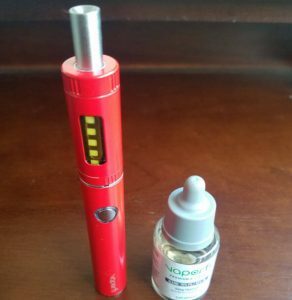 When you're ready to get your nicotine, you don't want a vape pen that produces good vapor sporadically. That alone is enough to turn someone off from vaping, not to mention anything else that could go wrong. With the Pro 3 Starter Kit, you won't have to worry about consistency. It's very consistent and reliable. 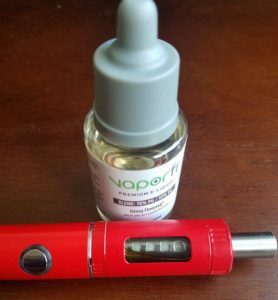 It performs a lot like I would expect a VaporFi device to perform, given the reputation and resources. I have even knocked it off the bar and kitchen table. It took the lumps like a pro and still performs above its pay grade. Other devices would have shattered if dropped from those heights. The battery life on this pen is stellar. 1,000mAh will last you for quite a while on an MTL device. 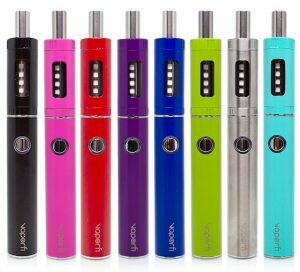 A lot of beginner devices have beginner batteries that only last for a short vape sesh or two. The 420mAh and 650mAh batteries are what I'm talking about. Some even have 380mAh batteries. There's nothing wrong with a small battery, but it's not my preference (unless on a pod mod) and might not be yours either unless you enjoy charging your battery frequently. The tank capacity is 2mL. The tank is on the smaller side for the vaping world, but right on par for beginner devices. It's about the average size. Starter kits usually have smaller tanks for mobility's sake. A smaller tank allows you to experiment more with your e-liquid and makes the device more pocketable. With a 2mL tank, you'll be able to drain it and switch e-liquids faster than with an 8mL tank. Also, an 8mL tank is huge. It might not be the easiest to transport in the beginning phase of your vaping journey, especially if you don't carry a purse. Like with driving, you don't start on a big rig. You learn how to drive a car or pickup truck, then you upgrade and learn how to drive a big rig. Big tanks will require more attention and maintenance so it's best to use a smaller, low maintenance tank at first. Then you may want to upgrade to a massive rebuildable tank that allows you to build your own coils. After you have your Pro 3 in hand, there's one thing you must do before you start vaping with it. Prime the atomizer. A lot of new vapers miss this step with their first device. Without priming the atty, you risk burning the cotton and instantly ruining the atomizer. Money down the drain. I'm going to give you a quick rundown on how to prime the atomizer. First things first, plug in your micro USB cable and start charging your battery. Then you should begin the priming process. In order to prime your coil you're going to need to remove the atomizer from the tank. Luckily with the beginner-friendly design, this is a breeze. All you have to do is unscrew the base of the tank and pull the atomizer out. Once you have the atomizer in hand, drip some vape juice on the cotton. It's important that you don't overdue it here. If you do, you can flood your atomizer. To make sure you don't flood the atomizer, drip cautiously. As a general rule, just drip just 3-5 drops of e-liquid on the atomizer. For the Pro 3, you can drip on drop of juice on each hole, as long as the exposed cotton looks dry. Now that your atomizer has a little e-juice in it, you can slide it back in and screw on the base. That was the hardest part. The next few steps are easy-peasy. Now you have to unscrew the top cap from the tank. Proceed to drip your e-liquid of choice down the side of the tank until it's at capacity. Don't drip it down the center air pipe or else you be inhaling e-liquid with your vapor. Once your tank is full of vape juice, screw on the top cap. You're almost done! Now all you have to do is inhale on the atomizer five times and then let it sit for at least five minutes. By inhaling on it five times without firing it, you're helping pull the e-juice into the atomizer. This will speed up the saturation process. If your cotton is not saturated with vape juice, it'll burn and you'll get a super nasty dry hit. Yuck! Because you took the five puffs and dripped liquid directly on the cotton, you only have to let it sit for five minutes. If you didn't do either of these things, you'd have to wait around 20 minutes or so. Even then, you still could get a dry hit. Vape juice is thick, so dripping it directly on the atomizer and inhaling helps the cotton absorb it. After the five minutes is up, you're all done. You can fire up your pen and take your first hit. You won't have to worry about a disgusting dry hit either. You'll get smooth vapor production and some great flavor. The Pro 3 has the same quality build that I've come to expect from VaporFi. I'm not surprised by the beginner-friendly design or the attention to minute details. It's a solid pen and would be a good one to consider for your line up. It's very easy to use and delivers consistent vapor. It only costs $39.99, giving you great bang for your buck. The mouth-to-lung technology mimics the feel of smoking a traditional cigarette, which is awesome. I give the Pro 3 Stater Kit our seal of approval and recommend it as a great beginner vape pen. 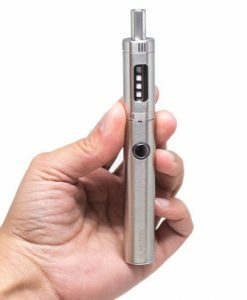 If you're ready to escape the chokehold of big tobacco, you can get the Pro 3 directly from VaporFi. The VaporFi Pro 3 has a cool design, a passable battery and solid performance for a beginner device, but how does it stand up on a day-to-day basis?